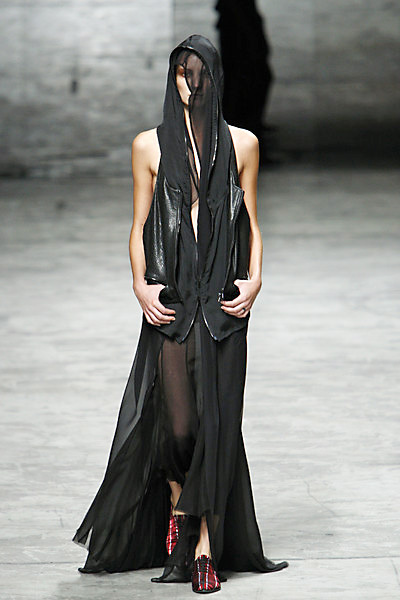 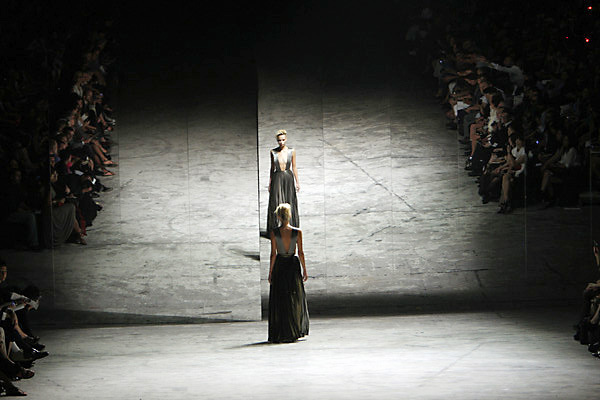 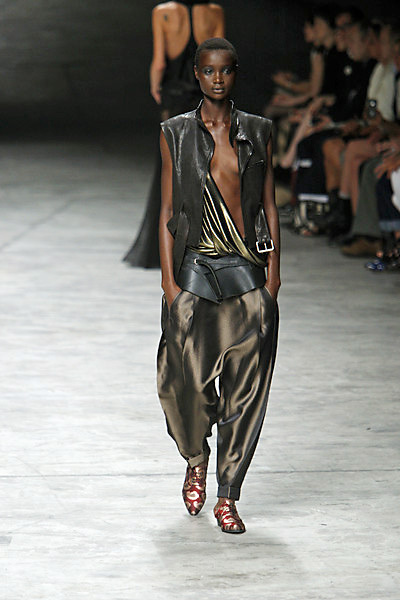 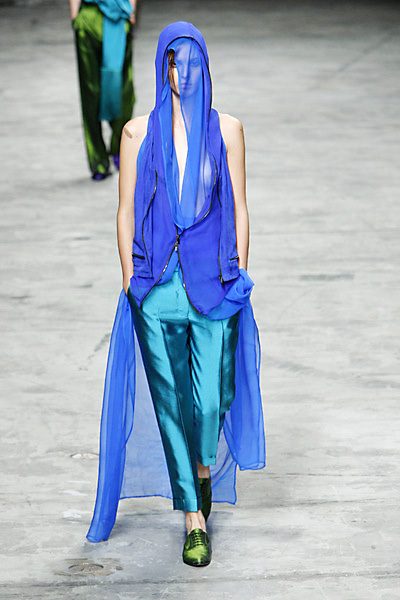 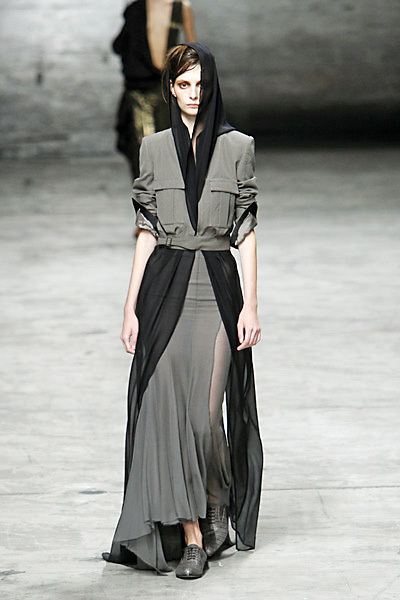 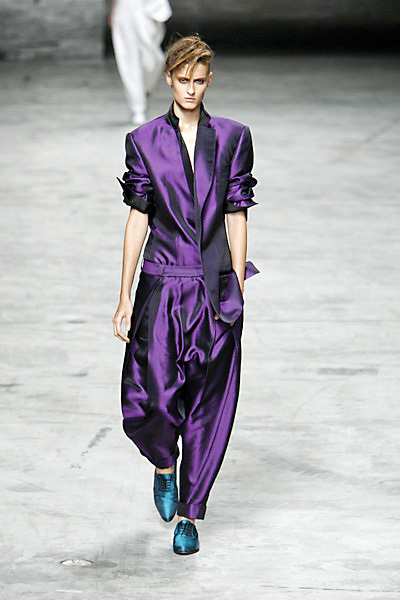 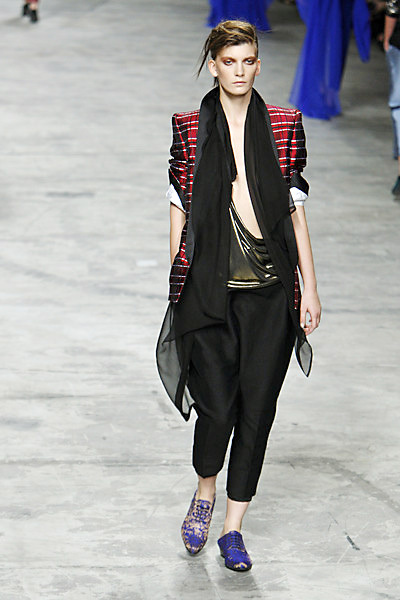 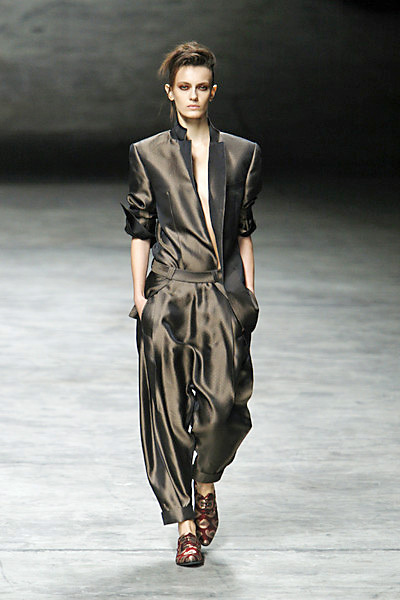 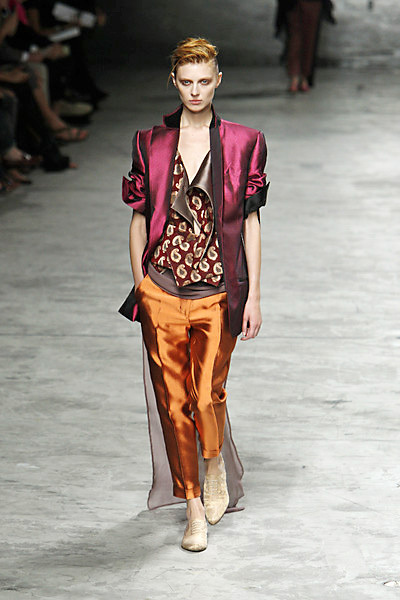 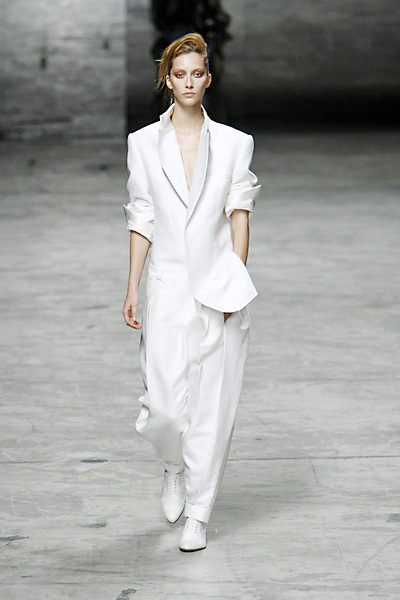 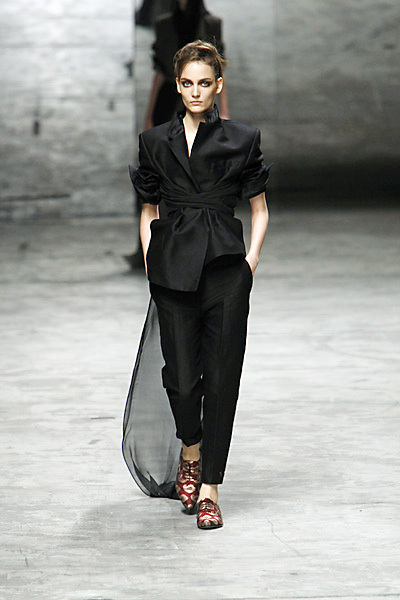 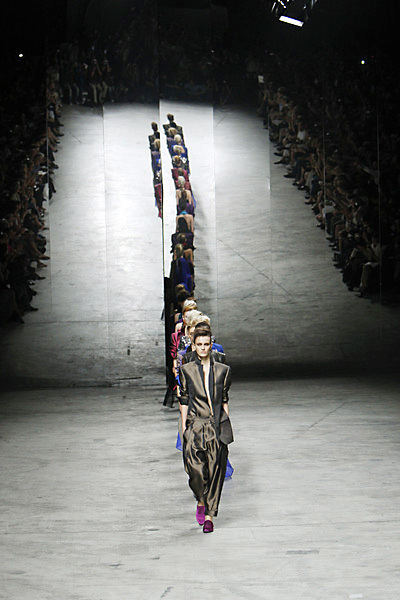 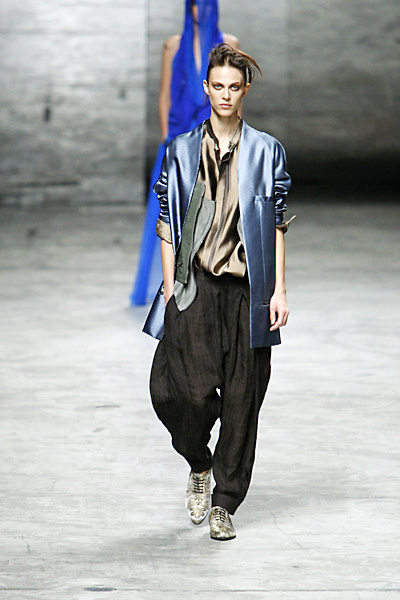 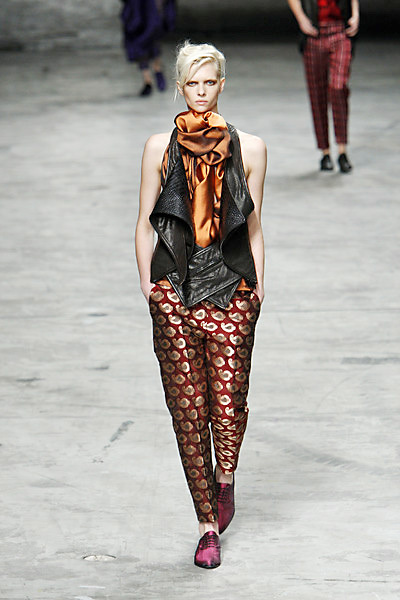 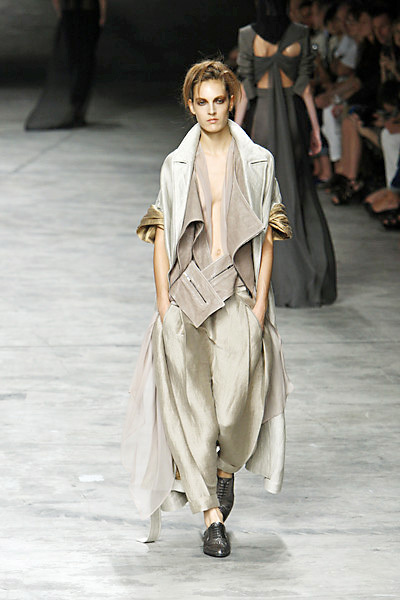 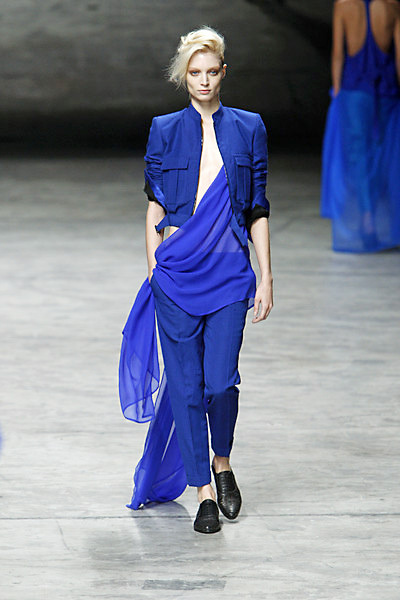 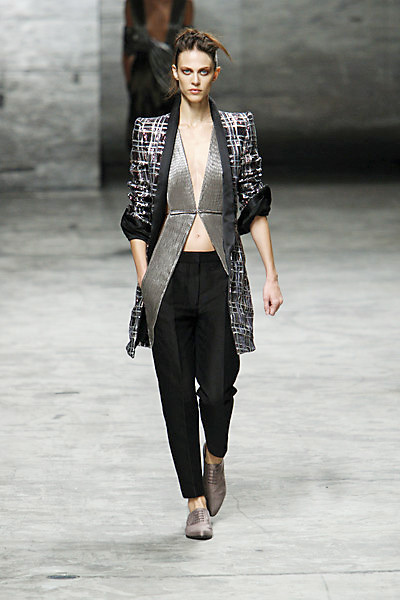 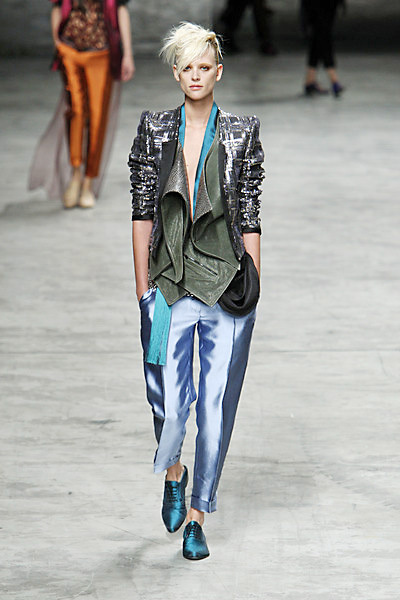 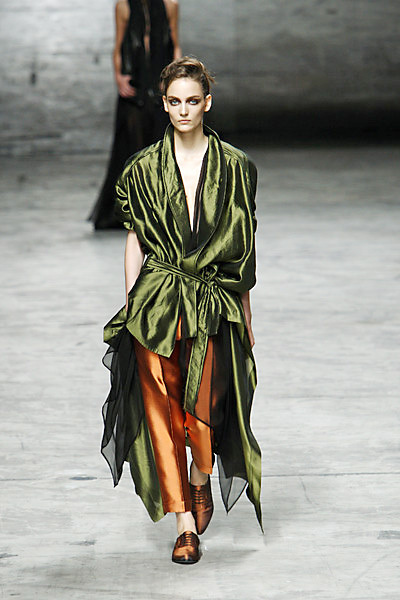 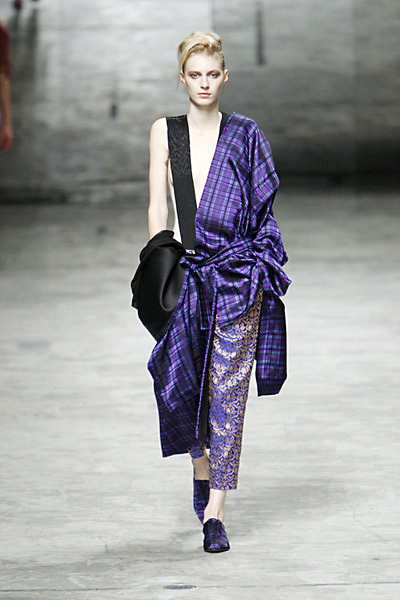 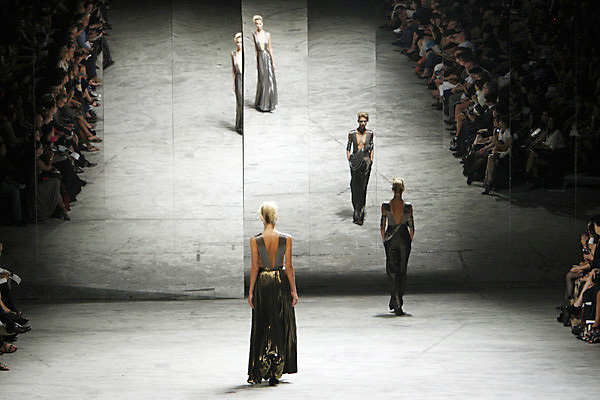 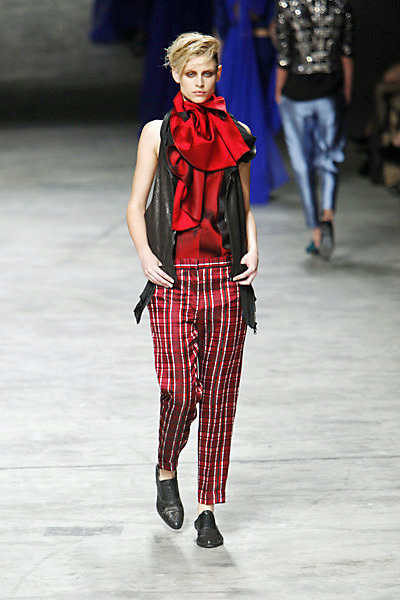 Haider Ackermann proved once again he’s a true master in choosing strong, bold colors, picking luxurious fabrics and mix this into a graceful, powerful an dazzling collection. 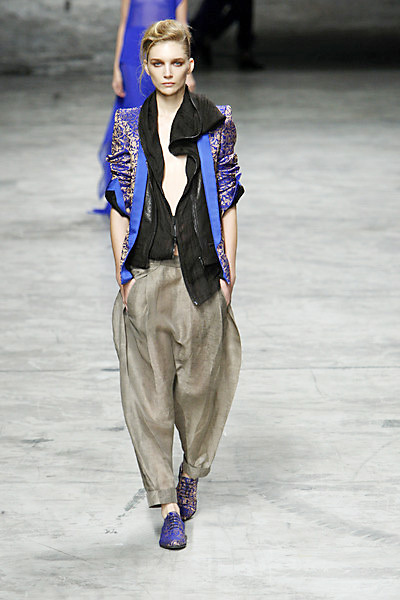 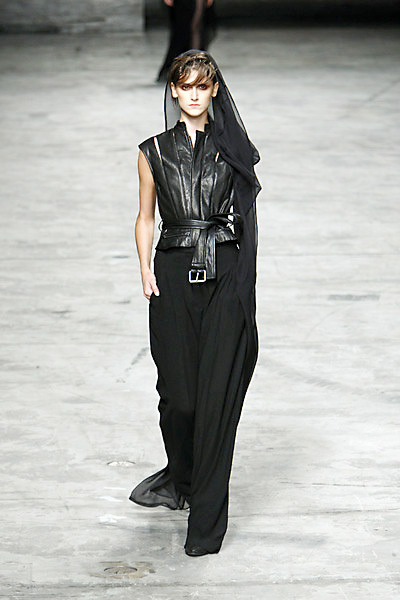 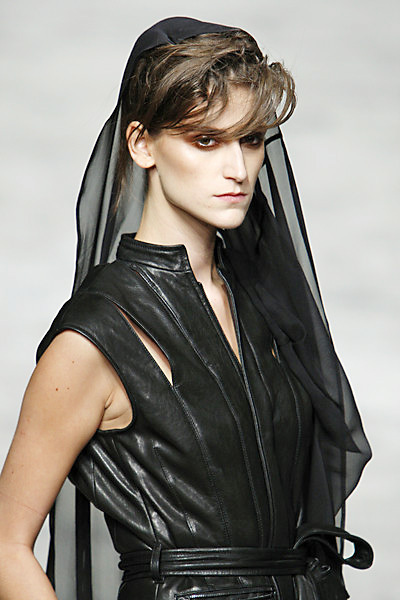 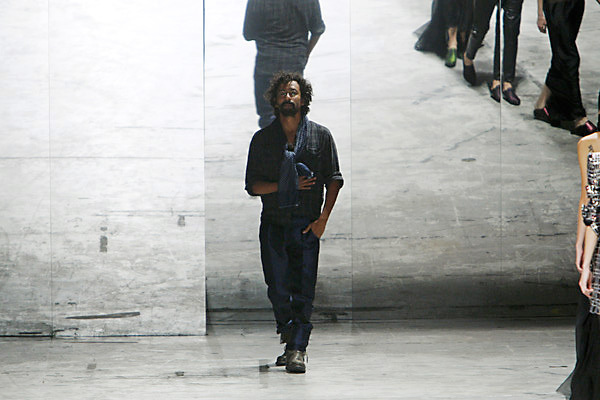 His ss2012-collection is about ‘rockabilly barons’ and – so it seemed – his own personal style in an exaggerated way, looking at the and the wide drop-crotch pants that tapered. 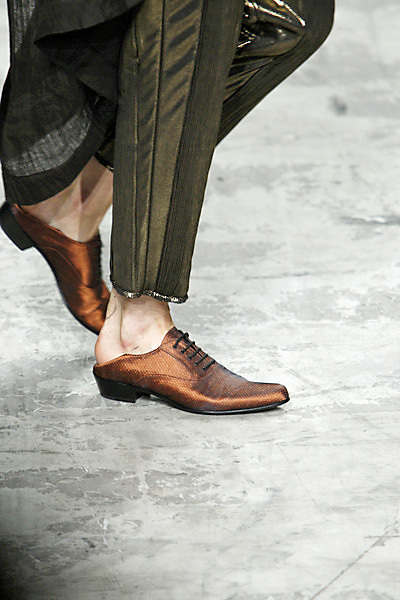 The cut was that of traditional menswear, but the fabrics were not. 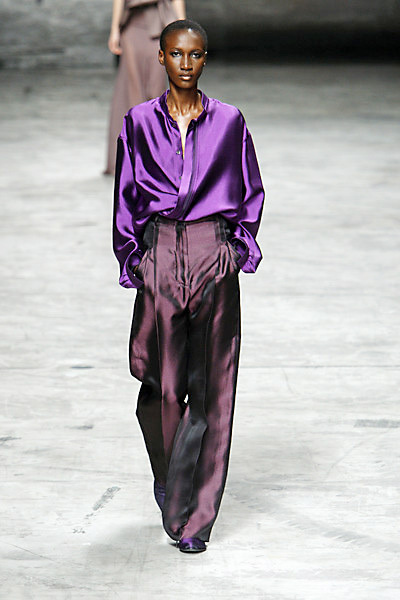 Thick silk and brocades came in beautiful colors, like deep purple, crystal blue and magenta. 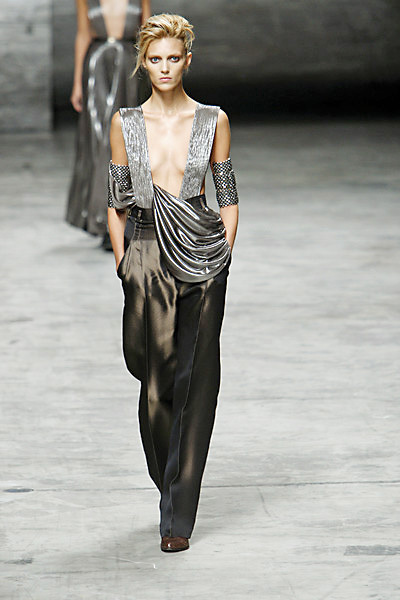 The lacing in gold and silver gave it an iridescent glow. 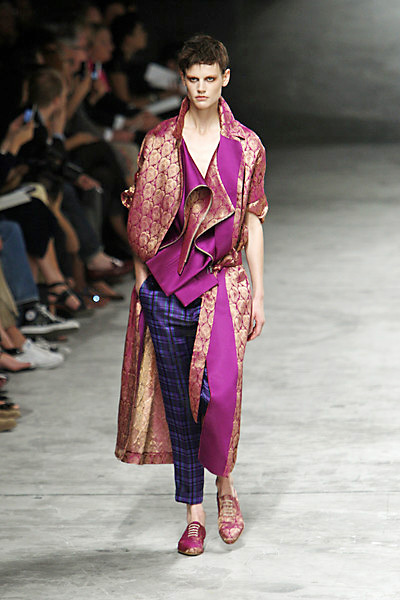 Sheer silk, used for draped veils and skirts added drama while paisleys and madras added a touch of ethnic.